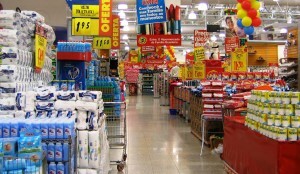 RIO DE JANEIRO, BRAZIL – The sales figures from the supermarket sector fell by 1.61 percent in February compared to January of this year, but reflects an increase of 2.92 percent compared to February 2015, according to the National Index Sales of the Brazilian Association of Supermarkets (ABRAS). 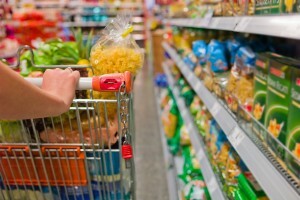 Supermarket sales fell by 1.61 percent in February compared to January of this year, but reflects an increase of 2.92 percent compared to February 2015, photo courtesy of Agência Brasil. The same report showed that cumulatively, through the first two months of this year, sales fell 0.36 percent, compared to the same period last year. Last year the entire retail sector in Brazil registered the worst decline in sales since the historic data series started, in 2001. According to Brazil’s IBGE (Statistics Bureau), retail sales fell by 4.3 percent in 2015. Data for the expanded survey shows that the segment which registered the highest decline was automobile sales (-17.8 percent). Other segments with the largest retractions were; furniture and household appliances (-14 percent), books, newspapers and paper products (-10.9 percent) and clothing and shoes (-8.7 percent). The segment of supermarkets, food, beverages and tobacco declined by only 2.5 percent. In terms of prices, the product basket index Abrasmercado, which compares prices in 325 stores across the country analyzes 35 broad consumer products, rose by 0.88 percent, from R$452.22 in January to R$456.22 in February. Among the products with the highest increases in price are: eggs (9.46 percent), cassava flour (7.31 percent), rice (6.69 percent) and beans (4.87 percent). The biggest drops in prices were with tomatoes (-14.39 percent) and pork roast shoulder (-4.73 percent). Inflation and price increases at the supermarkets are changing shopper behavior, photo internet recreation. The largest price increase was recorded in the North (4.18 percent). In the South, the increase was 0.39 percent, followed by the Northeast with 0.28 percent, and the Southeast, with 0.11 percent. In the Midwest, a drop of 0.93 percent.